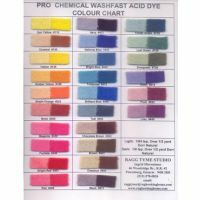 Pro-Chem colour chart - 26 dyes This chart shows what the dye looks like when dyed a light value or a darker value. This chart is a great help when trying to match colours. 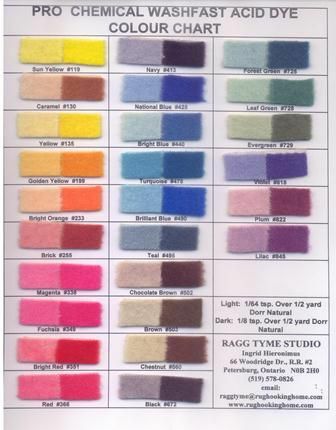 Samples are dyed over Dorr Natural. Chart comes in a protect page cover.